In the last couple of years, I have been working more and more with children with Attention Deficit Disorder and Asperger's Syndrome. In both of these developmental disorders, children have a hard time focusing themselves and controlling their reactions to environmental distractions. Inattention and impulsivity are common, as are inability to remain attentive to a task and inability to control impulses. Asperger's also includes a component of reduced awareness of non-verbal communication and social cues. Part of what ordinarily makes it difficult to teach concentration is that it is usually thought of and experienced as a seamless, mental process. How do you learn to concentrate? Well, you just put your mind on something. However, that kind of languaging names the process but doesn't explain how to do it, and so someone who cannot naturally focus does not benefit from such an instruction. The key to teaching the skill of concentration is to reframe it as a somatic process and break that somatic process down into small, concrete learning steps. I generally see children with attention problems for three to five one-hour sessions. That is usually enough to teach them the focusing and self-regulation techniques that I have developed. Many children move into my children's Aikido classes after the series of private lessons. The private sessions are much quieter and less complex an environment than an Aikido class with fifteen children, and so kids with attention problems find private lessons much easier as a starting point. 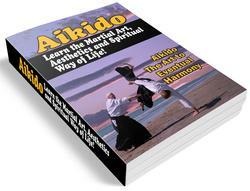 The Aikido classes offer them a way to continue practicing self-regulation and focusing. One exercise that I use with most children is the Anti-Tickle Technique. I start by explaining the exercise to the child, asking permission to do it, and explaining that they can tell me to stop at any moment and I will do so. Then I tickle them. Of course, the kids usually find themselves convulsed with laughter and helpless. That usually takes me two lessons, and often in the third lesson I will have the children practice reading. They usually experience that by focusing on the body state of fullness, they can read much more easily, even when I try to distract them by throwing tissues at them, tickling them, or talking to them. In addition to work with attention, I have worked with children on issues of anger management, conflict resolution, physical coordination, and anxiety. In my teaching, I simply don't make any distinction between "physical" and "mental" issues. Because I address the whole person as a process of simultaneous physical and mental experiencing and feeling, I can work with a broad range of issues and attain rapid results. From my perspective, the crucial issue in abuse is the learning that takes place during abuse. When someone is abused, whether physically, sexually or emotionally/verbally, they learn that they are profoundly powerless, powerless to control their bodies and their environment and create safety. That sense of powerlessness becomes a core element in their self-identity, and many of the symptoms of trauma such as dissociation, drug abuse, body numbness, or acting out involve some feeling/belief on the part of the survivor that they cannot create safety. I would define the trauma response as a physical behavior pattern. Expressed most simply, the core trauma response is to tighten and twist the body. This is generally expressed in tense breathing, tight muscles, constricted posture, stiff movements, and narrowed attention. In a paradoxical way, tightness can often include limpness as well, and this is expressed in states of body numbness or dissociation. The trauma response becomes a fundamental part of the trauma survivor's learned body style and is maintained as a learned behavior until new learning replaces it. The trauma response often functions as a way of reducing awareness, as a form of anesthesia. When there is nothing practical that can be done to control a threat, then anesthesia offers a means of tolerating it. However, as Aikidoka, we have experienced very clearly that the power to fight an attack or escape from it comes from relaxed, balanced movement and clear awareness. The normal shock responses of muscular constriction or mental dissociation lead not to effective protective action but instead to mindbody weakness and ineffective action. The problem for abuse survivors is that powerlessness and the trauma response, once experienced and incorporated into the self-identity, lead to a vicious circle. When adults live life on the basis of feelings of powerlessness, they respond to threats in ineffective ways, which make it more likely that they will be overwhelmed again and retraumatized. Imagine someone who fell into the water and nearly drowned and is left with a tremendous fear of the water. Psychotherapy, with its verbal work around the feeling of fear, would certainly be a crucial first step in the healing process. However, talking about the feeling won't teach the person to swim, and complete empowerment must (in this example) include the ability to swim. If the person does not learn to swim, then the person is still powerless and will still feel anxious around water. Without learning to swim, the trauma cannot be healed completely. And learning to swim with gritted teeth and suppressed fear will not be enough. Learning to swim with joy is crucial. Learning to experience joy and mastery in the situation of the previously overwhelming challenge—that is what will lead to recovery. The work I do with abuse survivors is based on the fact that powerlessness is a somatic state and can be replaced by the somatic state of empowerment. 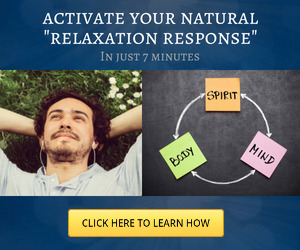 The primary content of the work is practical, step-by-step exercises which work with breathing, muscle tone, posture, movement and intention to develop an integrated state of awareness, power, and love and, on that foundation, appropriate personal boundaries and effective self-protection. Once students can create the state of relaxed alertness and stability, I help them learn to apply this in their daily lives. I start with relatively simple exercises. I may stand back about two meters and throw tissues at them. Though they understand that this symbolic attack is trivial, it nonetheless reminds them of their abuse and can trigger deep fear. By maintaining their breathing and posture in a free and stable state, and then catching the tissues (instead of freezing in shock and dissociating), abuse survivors are taking their first steps in responding actively and effectively to their traumas. I help students work through a progression of gradually stronger challenges until they are ready for actual self-defense instruction. Then we replay the actual assaults they experienced, and I coach them in the actions necessary to win this time. There is a special grin that lights up people's faces when they experience the joy of succeeding in keeping themselves safe and free. By learning how to keep their bodies open and free, and learning how to protect themselves, abuse survivors rewrite the effects of their past. In working with survivors, I make use not only of the body awareness work that I have developed but also of actual Aikido self-defense techniques. For more information about body awareness training with sexual abuse survivors, you could go to my website. 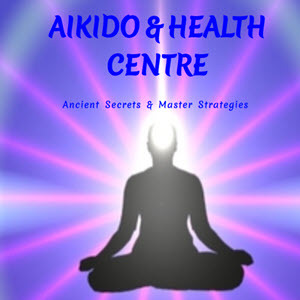 I have articles available there on the topic (including one article on abuse survivors in Aikido classes) as well as a downloadable e-book, Winning is Healing: Body Awareness and Empowerment for Abuse Survivors.